When I walked out of one of my least favorite places on earth the other day, I happened to glance down at my speedometer. It may not look like much. I know. But it had huge meaning to me. See, some of my friends had this thing going on. Whenever they glanced at the clock and the digits were all the same, like, say 2:22, they would remember God’s extreme love for them. Along the way, I fell into the same habit. It’s actually very cool how often God guided my eye to His personal message screen for me. I actually got a bit giddy at times, and I think that’s ok. 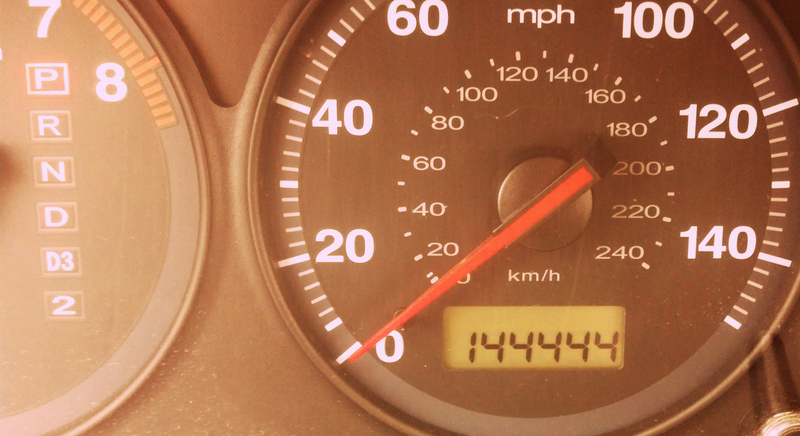 I also think that people only see odometer numbers line up perfectly like this, like, once in a lifetime… even if they are watching for it. I think Jesus knew I needed an extra-special love note at that moment. Jesus, you care for me so very WELL. I love you too.